Fundraising for the Out of the Darkness Campus Walks is more than just raising money. It’s an opportunity to create a community that is smart about mental health. 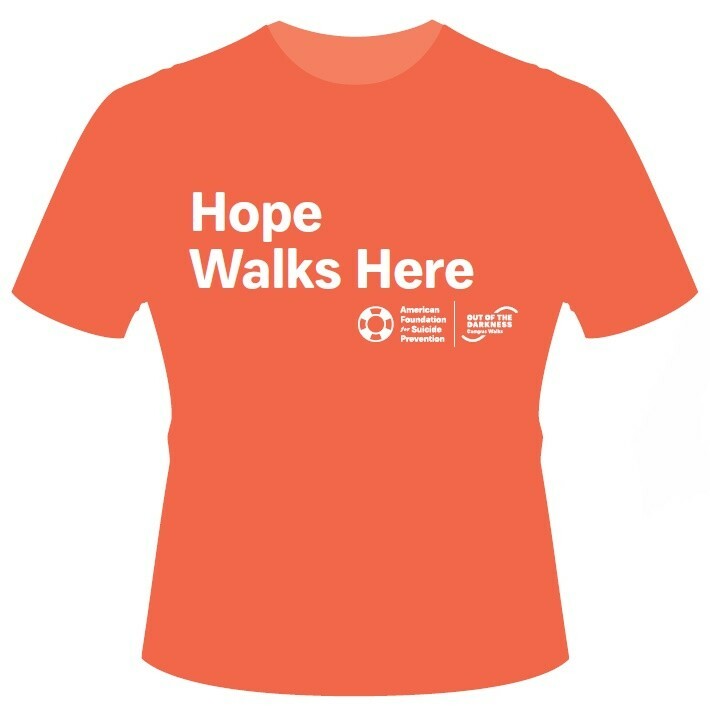 Reaching the Goal of $100 in order to earn an official Out of the Darkness Campus Walk t-shirt is easier than it sounds! 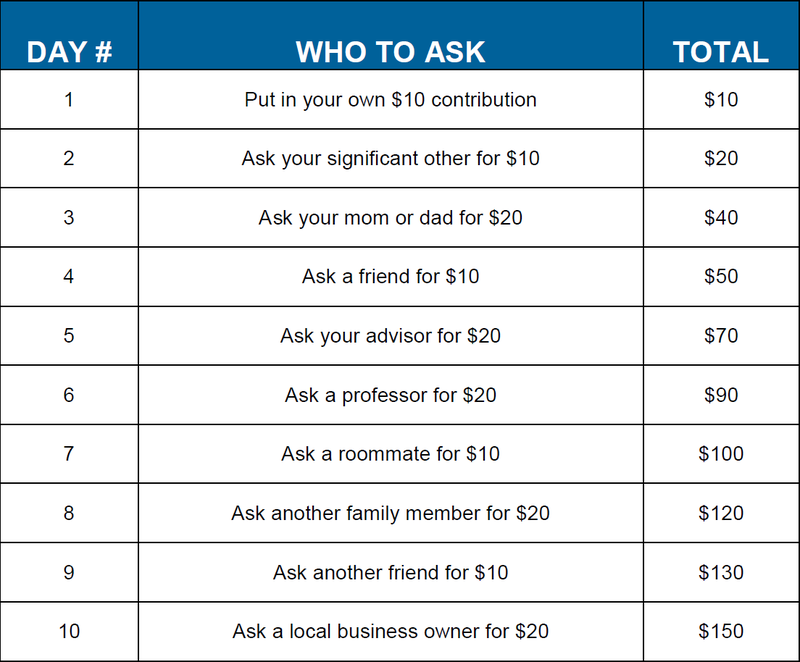 If each of these individuals give you $10-20 (not unusual), you've just raised $150 and exceeded your fundraising goal. We're sure you can think of more people to ask and soon you will be on your way to becoming one of our top fundraisers and qualifying for recognition gifts. Share the 1 minute or 30 second Campus Walk Video!